Keeping it very simple this year, and enjoying some cool Walmart finds along the way! 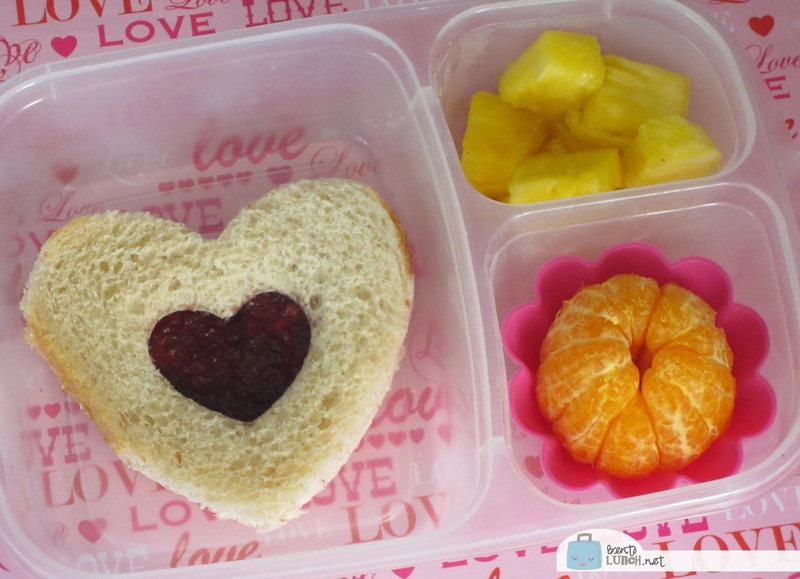 I had to pick up a few other things at Walmart and found the perfect cutters for VDay lunches--tiered hearts for $1.47 and stamped hearts for $1. We now own both, in case you had to ask. Ben wanted ham and cheese sandwiches, so we used the heart shaped stamped cutters to make his. He also wanted a clementine for one side, but picked fresh blackberries and blueberries for the other. I skewered those on plastic heart picks from the Dollar Tree, another great, inexpensive bento find! Both kids also take a plethora of snacks, so had (not pictured) granola bars, cheese sticks, yogurt and applesauce. 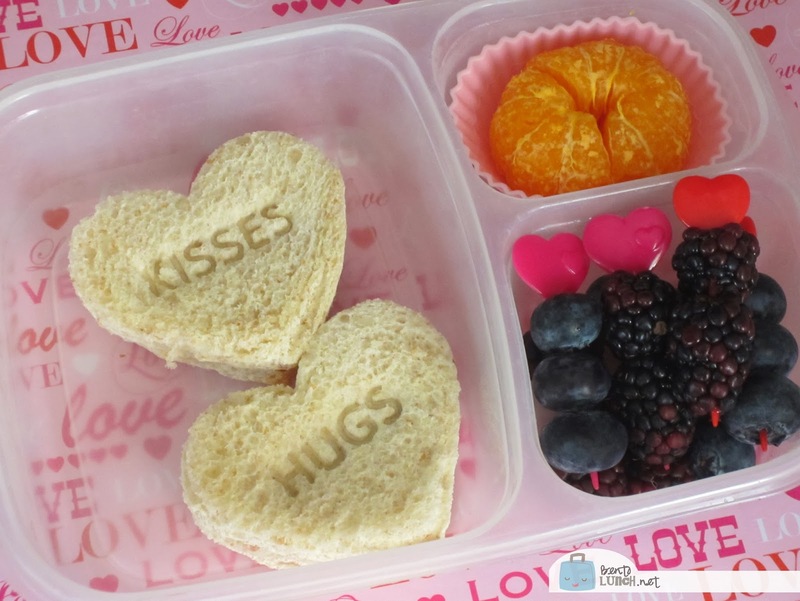 Lunch is packed in our Easy Lunchboxes, using the red and pink lids for holiday flavor!